The first disc shaped records were produced in 1892 when Emile Berliner began producing the first gramophones. In 1906, Reginald Fesseden made the first audio radio transmission, playing a record of a contralto singer performing Hendel's Largo. 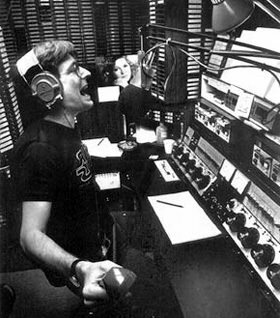 Thus began Radio's long association with music. Although music and radio were a natural combination, playing records on the air did not catch on right away, for a number of reasons. From the beginning of commercial broadcasting, the networks and most affiliates and independent stations kept an orchestra on staff to provide music on the air. Early phonograph records were notoriously fragile, and recording artists were hesitant to allow their records to be played over the air, feeling that no one would want to buy their records if they could hear them on the air. The networks made it policy not to use recorded material unless it was absolutely necessary, and the FCC gave licensing preference to stations which promised to not play recordings during their first three years on the air. American listeners had their ears glued to their radios during the mid-1930s, hoping to hear news of the Lindberg kidnapping. While his audience was awaiting the next development in the case, radio announcer Martin Block began playing records between comment, giving audiences the impression that he was broadcasting from a ballroom. The concept was a hit, and soon listeners were enjoying the nation's top dance bands on The Make Believe Ballroom. In describing the effort, commentator Walter Winchell combined the shape of the records, a disc, with slang for a machine operator, a jockey, coining the term disc jockey. DJ programs were a staple of the Armed Forces Radio Network. The popular variety programs, such as Mail Call, Command Performance, GI Journal and others were recorded in Hollywood and sent to the various theaters of the War on record discs. The local AFRN stations would also broadcast records as a cheap and easy way to provide the troops with a variety of different musical styles. In the post War years, the big networks slowed their production of original radio programing in favor of television. This left local broadcasters with air time to fill, and records were an easy answer. Many disc jockeys were allowed to expose audiences to their personal taste in music, and this gave a growing youth culture their first taste of Rock and Roll. Rock and Roll, youth, and DJ's with minimal supervision from station management was a combination built for rebellion. Young people were allowed the freedom to make their own listening choices while their parents monopolized the TV set, and DJ's were able to build a loyal fan-base. In some cases the DJ became a bigger hit than the station or even the music they played. Allen Freed is called "the Father of Rock and Roll" for his role in popularizing music played by African American artists. Because they worked on local stations, DJ's were often local celebrities.Some would travel as their reputations built, moving up from small town stations to bigger markets. Jack Armstrong and "The Real Don Steele" have left us with air checks from stations in several cities. Some DJ's built a national reputation, or perhaps national notoriety, broadcasting their music and personalities from the "Border Blaster" stations in Mexico. 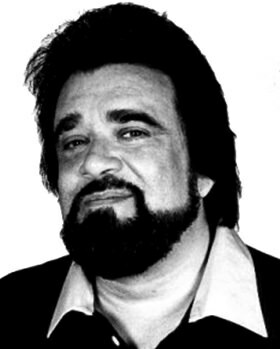 Wolfman Jack began broadcasting Rock and Roll and using hipster slang, creating a persona that imitated Alan Freed's "Moondoggy". The Wolfman's big break came in 1963, when he was hired to DJ for XERF-AM, a station powerful enough to be heard all across North America, and at night, as far as Europe and the Soviet Union. This collection includes early DJ old time radio shows from the golden age of radio like Alan Freed, Bob Crane, Chet McDowell, Don Imus, George "Hound Dog" Lorenz, Jack Armstrong, Robert Morgan, The Greaserman, The Real Don Steele, William Roscoe, Wolfman Jack and many more. 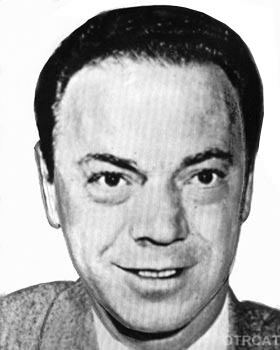 See also: Airchecks from Great Radio Stations, Vintage Airchecks from Great Radio Stations, Alan Freed Rock n Roll Dance Party, Wolfman Jack, and Alan Freed. Be the first to comment on "DJ Madness"